The SeaDoc Society is a group of scientists working together to heal the sea through science, education, and environmental policies. Jen’s team did just that; their research has resulted in new policies that are expected to prevent over a hundred thousand pounds of toxic metals from entering the Salish Sea (also known as the Puget Sound). Dr. McIntyre is a researcher and faculty member at the WSU Puyallup Research and Extension Center. 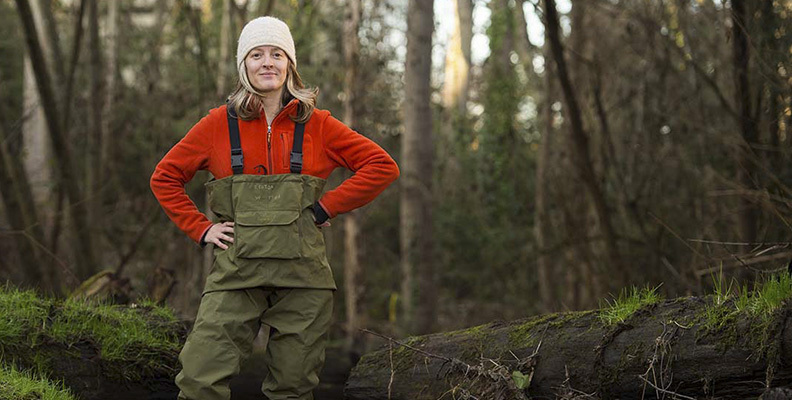 Her ground-breaking research continues to elicit attention and concern for stormwater issues that affect ecosystems in Washington State and beyond. Watch this short video produced by The Nature Conservancy to learn more about Dr. McIntyre’s research.